A one page chart developed as a class handout on the "Majestic Process," the Ages and Epochs of the Faith. 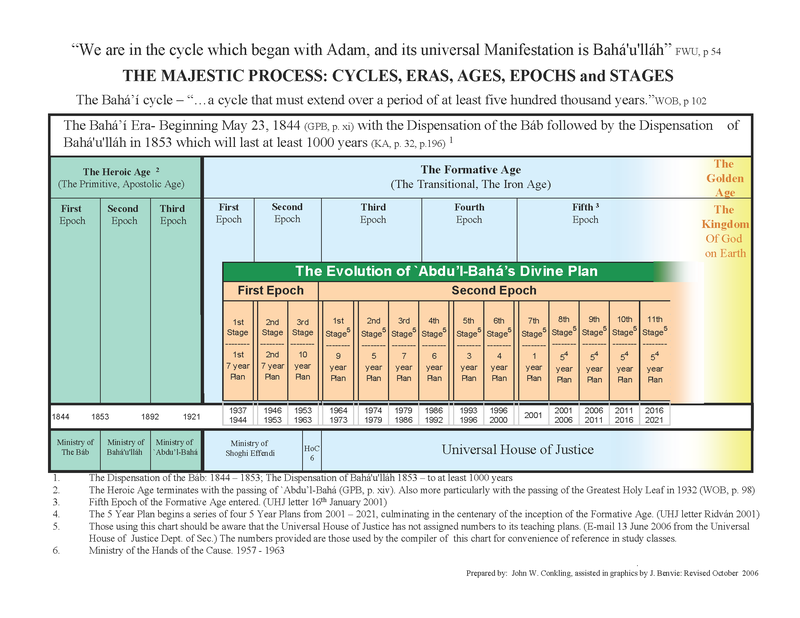 See also Chart of the Eras and Epochs of Bahá'í History. This is a one page chart developed as a handout for a class that I give every now and then. I first started the class for a Summer School at Sylvan Lake in Canada in 1968 on the "Majestic Process -- the Ages and Epochs of the Faith...." I found that a handout was useful and copied freely from various charts that I found published in books and in recent years on the web.